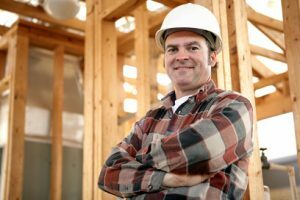 How to Choose a General Contractor for Your Healthcare Facility Project | Mahogany, Inc.
You need to choose a general contractor who is familiar with the process and prepared for the complications. But how do you choose the right one? If you were building just any building, you could use just any contractor, within reason of course. But you’re not – you’re building a medical facility, and with it comes a whole host of specialized issues. It is more than just the walls and the floor and the roof. You’re going to have to account for medical gasses, specialty doors and windows, and lead-lined imaging suites. You need to choose a general contractor who is familiar with the process and prepared for the complications. But how do you choose the right one? Everybody knows to ask for references when you’re looking for someone to do work for you, but in this case, do more than just ask. First, ask specifically for references from medical facilities where they’ve done work, then call the facility director and ask questions. If possible, tour the facility and see the work that was done. Ask them if the project was done on time and on a budget, and what (if any) construction issues they ran into. It seems like a lot of work, but the research will be worth it. Make sure that all of your potential contractors can give you information and answers to some basic questions. Do they have an office where you can find them if you need them, or do they work out of their truck? Are they licensed and what organizations do they belong to? Ask about their insurance coverage, including if it will cover the specs of your project. Can they get a declarations sheet that names your company as additionally insured? If the contractor can’t or won’t answer these questions, you should seek other options. Discuss all of the details of the project up front with your contractors. Don’t make assumptions about what they will or won’t do – always discuss it! Make sure that you have the contract in writing and that it includes all of those specifics about your project. Read the fine print and make sure there are no hidden fees. What, if anything, does the contract exclude, and how will that impact your project? Make sure that you know (and the contract includes) things that you’re responsible for, such as supplying water or power on site for their use. Don’t be afraid to ask questions about things you don’t understand. You can negotiate, but be reasonable. If for some reason the contractor won’t put the agreement in writing, get a different contractor. It’s very hard to take a handshake to court. If you want to know more about how to best care for your mahogany wood, Mahogany Inc. is here to help you. We have the experience and expertise to handle whatever problem you need solved when it comes to wood. Give us a call at 410-727-0334 to speak with one of our knowledgeable people. To see what we are up to or to seek inspiration for your next project, be sure to follow us on Facebook, Twitter, Google+, and Pinterest. This entry was posted on Friday, January 11th, 2019	at 10:20 am	and is filed under General Contractor	. You can follow any responses to this entry through the RSS 2.0	feed. Both comments and pings are currently closed.